43 years, 4 months, 27 days old age. Papon will turn 44 on 24 November, 2019. Only 7 months, 3 days, 11 hours, 43 minutes has left for his next birthday. Papon has celebrated the total number of 43 birthdays till date. See the analysis by days count and bar graph. 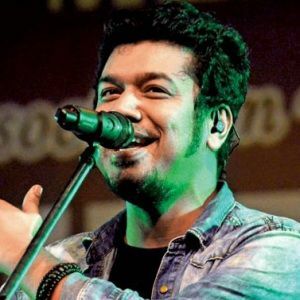 Papon was born on 24-11-1975 in Guwahati in the state of Assam, India. He is an Indian Singer, Composer, Record Producer, Founder, Musician, Songwriter & Playback Singer who known for his work in Hindi, Assamese, Bengali, Tamil, Marathi, and Kannada films. Angarag Mahanta is a famous Indian singer, record producer and a composer known by his stage name ‘Papon’. He had a background in music and was influenced by it from childhood. He was trained in devotional (Borgeet), folk music, and Indian Classical initially. He later learned vocals along with playing harmonium, tabla, guitar, and khol. Though ‘Assamese’ is his mother tongue, he had sung in other languages such as Marathi, Punjabi, Hindi, Mishing, Bengali, and Tamil. Acoustic folk, ambient electronic and new-age Indian classical music are covered by his music. An electronic folk-fusion band ‘Papon’ was formed by him in 2007.The band has 6 members including Tanmay, Dipu, Kirti, Jinti, Hameem Kader, and Brin Desai. The band had performed at the SAARC Music Band Festival, the Kovalam Literary Festival, and the Eastwind Festival. Its first solo album was released in 2011.They performed at NH7 Weekender fest, October Fest, and the Rock for Rights concert. Saregama HMV released their tracks "OMO" and "Jiya Baittho Jai". Dada Music released their song "Khuda Hota". He has sung songs for many Bollywood movies such as is "Labon ka karobar" for Befikre , "Bulleya" for Sultan, "Moh moh ke dhage" for Dum Laga Ke Haisha, "Humnava" for Hamari Adhuri Kahani, "Lakeerein" for Kya Dilli Kya Lahore, "Sun ri Bavli" for Lakshmi, "Khudse" and "Sun le re" for Madras Cafe. The super hit song "Kyon" from the film ‘Barfi!.’ is sung by him. He sang "Jiyein Kyun" for Dum Maro Dum. 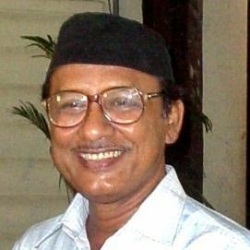 Junaki Raati, Sinaaki Osinaaki, Rangphul, Gomseng, Phagunor Gaan, Chandamukhi are few of his albums. He had performed in the 1st edition of MTV Coke Studio and later returned to it in 2013. He had grown with the show. He sang "Pak Pak (Bihu Naam)", Assamese folk song "Tokari", and the melancholic folk song "Sahil Tak" on different seasons of the show. He had received an immense response on YouTube for his Coke Studio seasons. He is a founding member of the East India Company. A seven-part documentary web series “Hometown Heroes” was released by Red Bull in 2016 which revisits the story about him and his journey of a successful music career. He had also worked on ‘MTV Roadies X: Battle for Glory” theme song “ Jajabor" in 2013. He has won many prestigious awards for contributions toward music industry. He was born to Khagen Mahanta and Archana Mahanta. He is married to Shweta Mishra Mahanta and together the couple is blessed with a son named Puhor Mahanta and a daughter named Parijaat Mahanta. He has also featured in MTV Coke Studio. Criminal charges were filed against him after he was accused of kissing a minor on the reality TV show. He along with his band performed at the BITS Pilani Goa campus.